Looks like he's posing for the picture. That is one sharp capture of a grasshopper. He looks like a mechanical model toy or something. I love all the details, especially the beautiful markings on his legs. 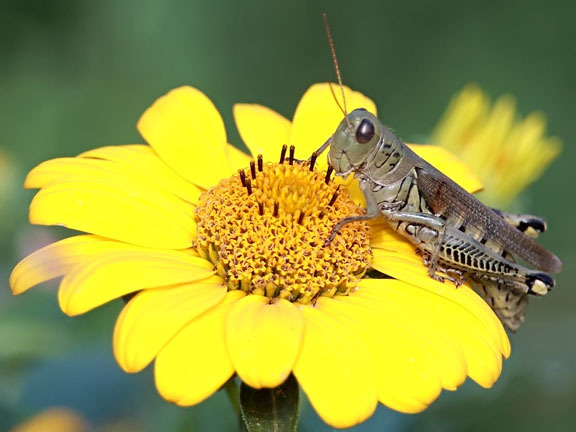 That's a lovely photo, if you can call a grasshopper lovely. He is nicely detailed.